Legacy Lighting LLC. 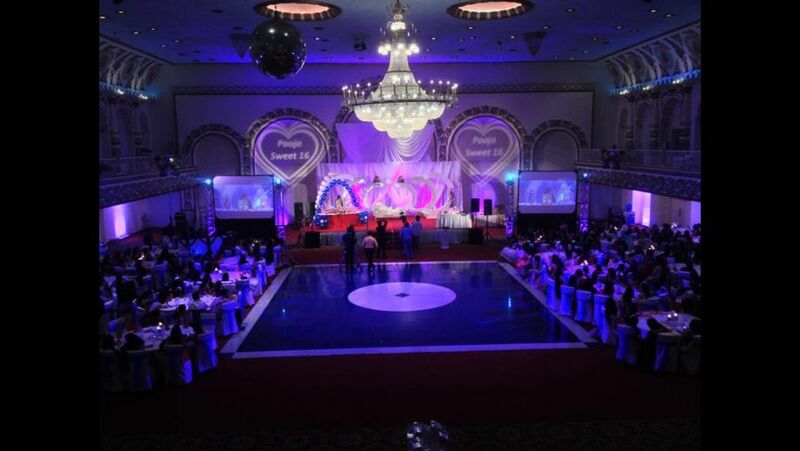 is an Event Concert & Theatrical lighting company. 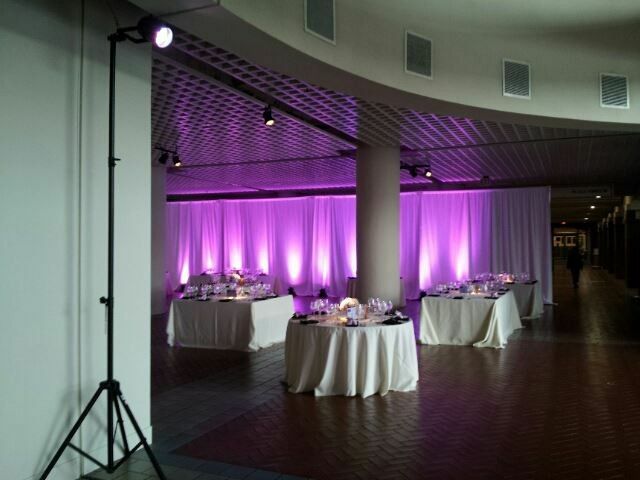 We specialize in LED uplighting. The perfect solution for the go green era. With this green technology we can match our LEDs to your color scheme, attire, or decor. We have a full stock of Source 4 elipsodials "leko's". These can be sized to put light exactly where you want it and produce the perfect light for your memorable moments. I.E. 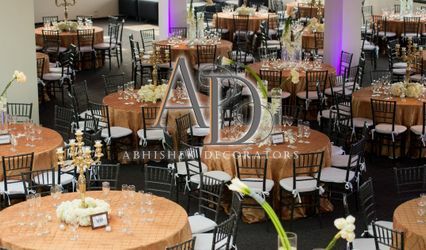 a wedding head table, to spotlight the bride and groom, highlight the wedding/grooms cake and photography areas. Have a band and want to put them on a stage? 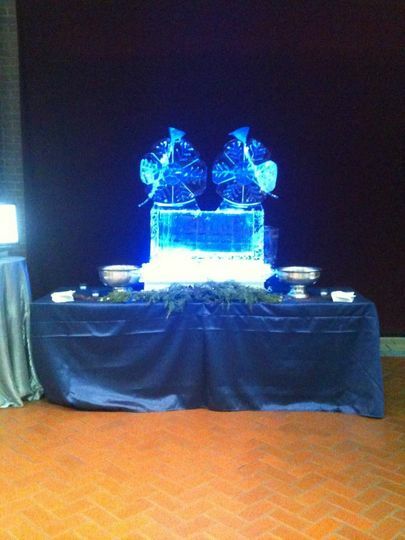 Or want to raise up the head table to make the bride, groom and/or wedding party the center of attention. 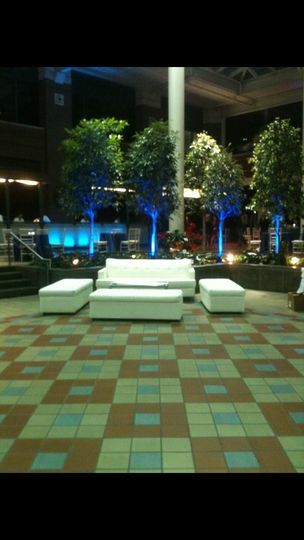 We can provide any size platform/stage from 6" to 5' in height. Prefer a band over a DJ? We have full Audio systems to amplify your band. We can provide microphones for all band members so everyone is heard. Our Audio technicians can produce clean and loud audio. Or we can supply just microphones and PA Systems to have annoucements. Please do not confuse us for a DJ service. We do not own any DJ equipment or have DJ technicians. 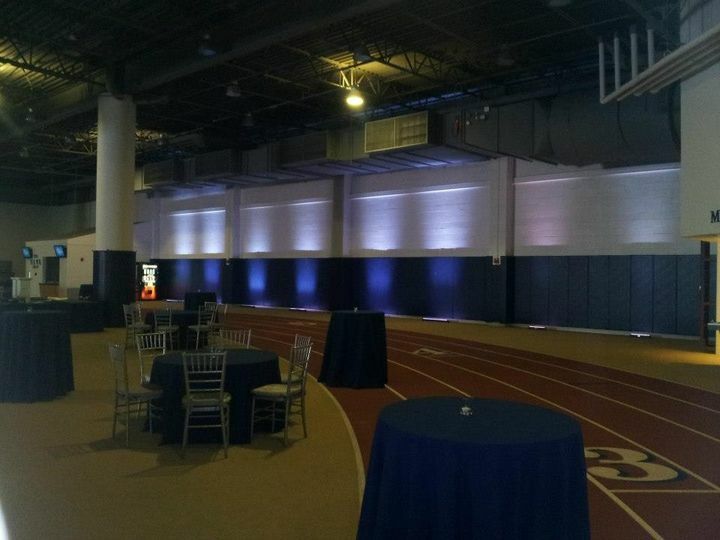 Have a dance floor but it has a boring feel, or have a DJ but want more lighting? We can turn any area into a dance-worthy environment. 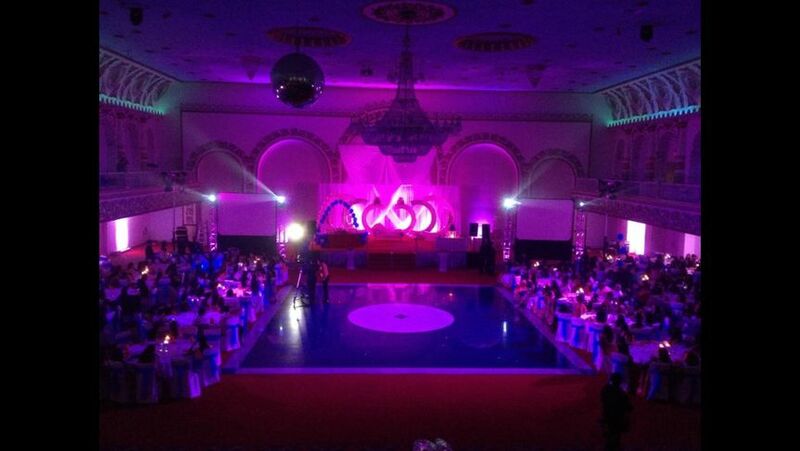 With Moving lights, LED's & Sound active disco lighting. 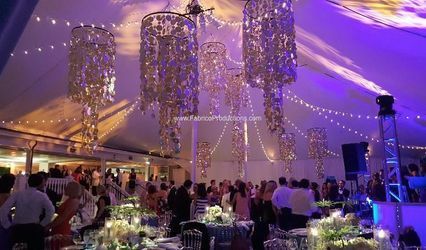 Want that elegant mood for your wedding dance? We have Mirror balls for that perfect slow dance. Most but not all gear can work off of Sound Activation. Plug it in and have the DJ or band start playing. The lights will change color or start moving to the music. Want a more Professional lighting show? 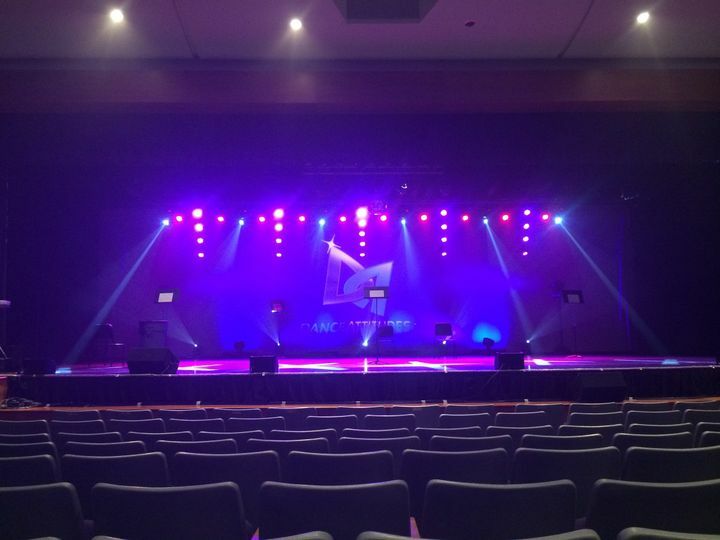 We can bring a lighting console and technician. To program and run a concert like show! Every light we own can be controled by a lighting console. 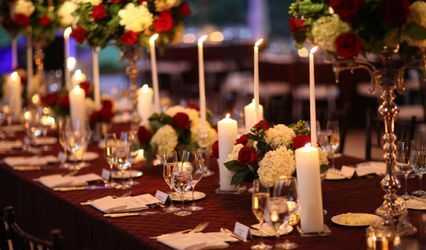 Say you want to just have the lights on for the head table for annoucements. We can turn them on and off at any point. Then everyone moves to the dance floor and the real show can begin. The possiblities are endless! If you can dream it, we can produce it! All technicians Lighting and Audio. Have 15 years working experience. THE SHOW WILL GO ON !! !